Spey flies originated on the River Spey and the River Dee in northeastern Scotland in the 1850’s a story steeped in angling lore and tradition. 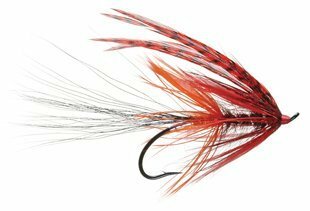 These sleek and elegant flies are almost always tied on long shank Dee style Salmon hooks. The Spey style pattern is easily identified by their low riding wings, long flowing hackles, a sparsely dressed body and a small neat head. The thin dressings and low set wings were designed to aid in sinking the fly in the fast waters of the River Spey. Spey flies have an avid following of loyal anglers who tie and fish them with a special passion and a will to carry on the tradition.